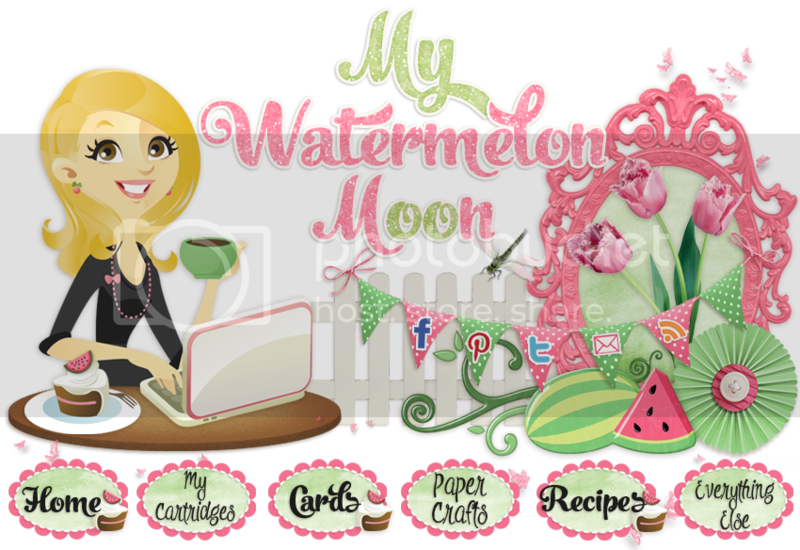 Welcome to the March Damask Diva's Blog Hop! This month we are featuring the beautiful Chantilly Paper Pack! I adore the happy colors and the adorable paisley in this super fun paper pack. It *might* be my favorite from the new Idea book. 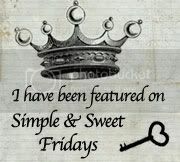 If you came from Lilian's blog, you are in the right place. 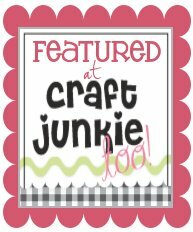 If you have jumped here and just discovered our blog hop, feel free to check the list at Damask Divas blog to find the complete list of blog hop participants you will also want to hop over there to enter this month's giveaway! For today's project I made this birthday card an tried to feature as much of the paper pack as possible since I love it so much! I am drawn to circles on layouts, but I never seem to make any! So this month, I went circle crazy. I decided to use some kraft cardstock from my stash to help highlight the Chantilly paper colors. I also wanted to slip the burlap ribbon in the project too, one of my favorite Close to my Heart products! I used my Artiste cartridge to cut the circles, the lacy kraft paper doilies and the lacy paper ribbon. I also used Artiste to cut the flowers that I stamped with coordinating cotton candy, pear and buttercup ink. The button in the middle of the layered flower and the pink glitter bling is from the Chantilly workshop on the go kit. The next blog on the list is Ashley's blog. Hope you have a great time on our hop and checking out all the creations using the fun Chantilly paper pack. If you get lost or you are ready to sign up for the giveaway, just hop on over to Damask Divas blog for the full list. Melissa Lind <------You are here! Beautiful card Melissa. Love all the layers and the flower is too cute. Oh, I just love this one! Way to show off the great patterns--I can't choose a favorite! That burlap ribbon looks so amazing with the flowers! Fantastic job, Melissa! So much fun, catches the eye and makes you want to see more...very creative and fun use of the Kraft paper! This card is beautiful!! Great job!! I love this card, the kraft paper goes so well with this paper pack! Love the dimension! Beautiful card! I love this paper pack too. Very nice use of the colors and patterns. 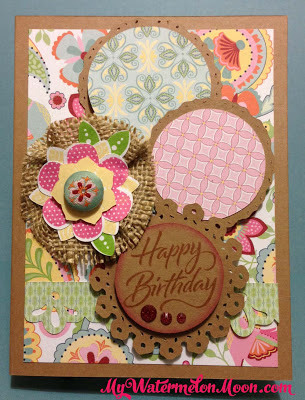 Love the circles and burlap on your card! A fun card. You were able to feature all of the paper without being over-the-top. Love it. Fun card. Love the circles and flowers! Great job! Love the burlap and the craft paper. Just makes things pop! Ooooh, this is so pretty! I love the use of paper and burlap.